The leaf crunching, berry popping, nut gathering days of Autumn are upon us and it is time to draw breath and review a very busy 2017. A very warm welcome to those new to The London Ballet Company family; dancers, parents, children, students, audience members and friends. We feel honoured to have sustained a loyal following over the last 7 years and very much look forward to continued growth to bring ballet and dance to new audiences. Our unique, original storytelling style developed through collaboration with our dancers is one we will continue to explore with an exciting new production in the pipeline. Stalwarts amongst the company dancers include our Choreographic Coordinator Fran, with Jo, Alice, Abby, Louise, Tamra and Ella, and we have welcomed some of our newer artists, Christian, Rafal, Imogen, Ellie, Georgie, Rachel and Laura. Together we make a wonderful team who have a passion and dedication to our art. "Snow Queen" now in its 2nd year, and "00 and His 7" in its 6th year, have been very successful productions this year, revisited and revitalised, and we are anticipating a very full engagement schedule in 2018 with our production to mark the centenary of the end of the 1st World War, with "Poppy" (now in its 4th year). The company has also been fulfilling event commitments with dancers performing at a wedding and anniversary celebrations overseas, and at the launch of a new Darts themed bar (as featured in The Evening Standard), called "The Flight Club". We also admit to rather enjoying the filming process for a new promotional video for this beautiful new venue in Bloomsbury, which is in a more central position than the existing Flight Club in Shoreditch. Who knew that darts could be such fun? The delicious food and sumptuous cocktails were an added bonus! Further events are planned for later in the year, culminating with celebrations for New Year in Italy. We have hosted workshops in London, Kent and Cheshire and I was once again very honoured to be asked to adjudicate for the student appraisals day at the Elmhurst Ballet School along with our Artist/Choreographic Coordinator, Francesco Mangiacasale. We were both very impressed with the standard of the students and their development as future dance artists and we thank Mr. Robert Parker for his kind consideration, and a very enjoyable and illuminating two days. We wish those students well as they embark upon an exciting career in dance. 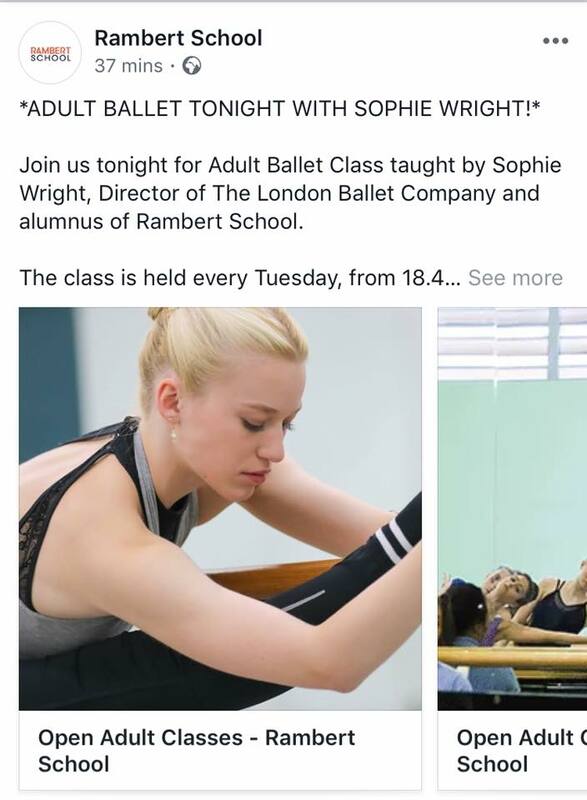 For any of our friends who are keen to try out, or who have previously enjoyed ballet and wish to continue with an adult ballet class, and who live within reach of the Rambert School of Ballet and Contemporary Dance, I would be very pleased to see you. As a graduate of this school, I am now teaching adult classes on Tuesdays at 18.45 until 20.00. Please join us for a fun and exciting evening. Our Associate Courses held at the R.A.D. Headquarters in Battersea, are now fully subscribed with a record number of very talented students developing their artistic and creative prowess on one Sunday per month. It presents students with an alternative experience where they are able to meet others from a variety of dance schools, to discover further ways to develop, and share their passion for dance. This has also been complemented by our very successful Easter and Summer Intensives. In each dedicated week, Ballet Technique, Yoballet, Creative Exploration and an opportunity to share Company Repertoire was enjoyed. The culmination of work displayed in our Intensive performances gave parents the opportunity to share and observe all that had been accomplished. Students managed the magnificent task of putting on a complex and varied display in a very polished performance. Patrons are also very important to us, and we are excited and motivated by the experience of others in the field of entertainment. Ms Durrant - educating future artists in her dance school in Belfast, Thomas Sangster who inspires us with his diverse acting roles from "Love Actually" to "Game of Thrones", Basement Jaxx who continue to appeal to a broad spectrum of music lovers as they tour in the U.K. and Internationally, Susan Dalgetty Ezra - a balletomane whose passion for dance finds her now as Chairman of The London Ballet Circle, and two very exciting new Patrons, Ms. Sarah Wilder, who studied at The Royal Ballet School before rising to the heights of Principal dancer in The Royal Ballet Company. 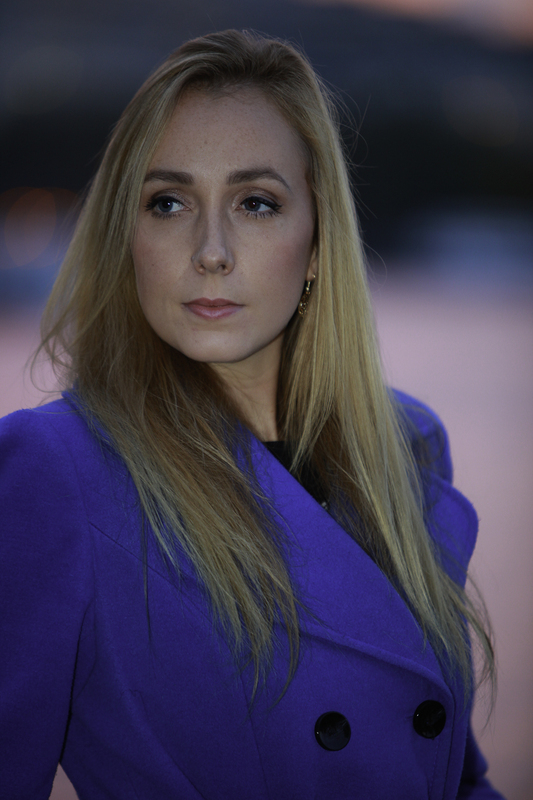 Now also a teacher of some repute, we are absolutely delighted that she has agreed to join our family as Patron. And Steve Elias, Actor, Freelance Director/Choreographer in theatre and opera. If you were lucky enough to have seen "Our Dancing Town" on BBC2 where he was both Presenter and Choreographer, then his face will already be familiar to you. Take a look at the Patrons' page of our website for appraisal of the vast arena of their varied experience. Thank you for your support and interest in our company. We are very fortunate to have such experienced, talented individuals as Patrons of The London Ballet Company! One of our dancers, Ella Marjorie Betts, has inspired our dancers with her rigorous workout series before Company Classes. Between us, we decided that it would be exceedingly beneficial not only to aspiring dancers, but to athletes of all disciplines, and for those who simply wish to enjoy the health benefits of a toned physique, to be able to participate. Working together, we have developed a new discipline inspired by both Yoga and Ballet. YOBALLET. Now part of our dance regime for company dancers and students. We will shortly be rolling out further classes and a taster video can be found on our website. YOBALLET: Strength in Body and Mind: Combined! It is with great joy and anticipation that I am also pleased to announce that we are launching The London Ballet Company School on January 6th, 2018. 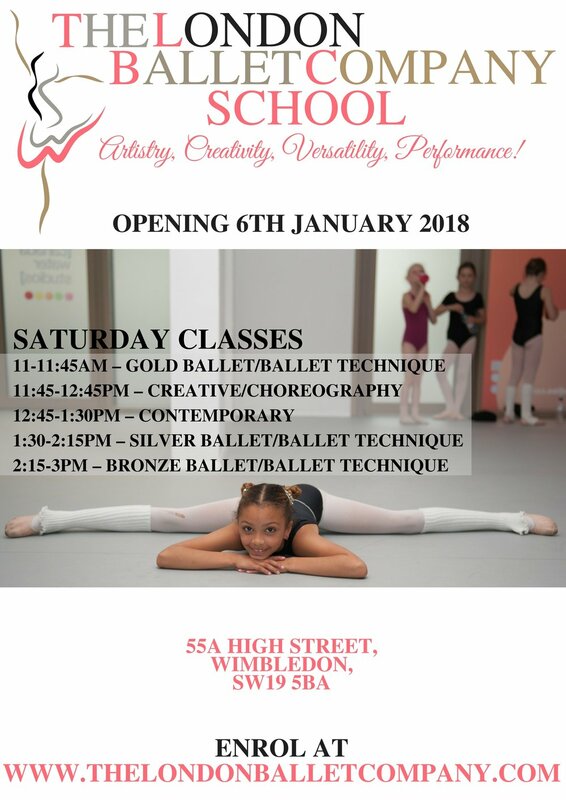 The classes will take place in Wimbledon Village - 55A High St., Wimbledon, SW19 5BA. Further details and the enrolment form can be found on our website. We have had a great deal of interest in this new project and positive feedback from parents has encouraged our venture. More classes are being developed to satisfy demand and these dates and times will be released shortly. EarlyBirds...worms..etc! I do hope that you will continue to enjoy and support our development and we look forward to your participation in all our projects. As we head towards the big Easter Egg hunt, and the days are getting longer, it is time to reflect upon all that TLBC has been up to during the Winter months. The Christmas festivities over, and the TLBC Christmas meal a jolly memory, we headed towards the studio determined to wear off all the festive excesses in which we had indulged. January found us with new zest and after a week or two of regaining our practice regime, we were delighted to welcome into the studio a film production company, who invited us to participate in the making of a video for Libratone (rather nice speakers) joined with famous band Sigma, where our dancers were filmed during rehearsals. Fortunately we were back to peak performance and the stimulus of “being on camera” brought out the best in us. We were keen to see the results although each one of us is a critic, so the cameraman had his work cut out as we each had a viewpoint on which moves were the most aesthetically pleasing! January also heralded the start of our school educational workshops. Our visits to Singlegate and William Morris Primary Schools in Merton were a highlight and we were touched by the enthusiasm of the children for our morning visits. We explored the life of a ballet dancer, demonstrations were given, and questions were asked, eg. “Why aren’t men allowed to wear pointe shoes? - And most enjoyable of all, the children wholeheartedly embraced the opportunity to participate in dance and the telling of a story through movement. To be able to question and find out about the different expectations and qualities both girls and boys are required to have to be able to become a dancer who specialises in ballet, and the continuous work needed to maintain peak physical condition, was something we explored and I believe the children found very interesting, but perhaps not quite as interesting as the “lifts” performed by Fran! 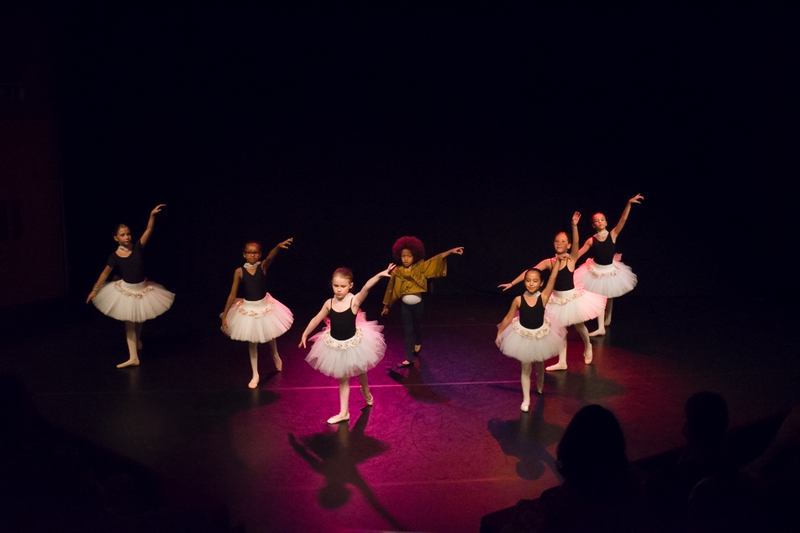 Further workshops with ABC Ballet School, The Hannah Spooner School of Dance, The Mulberry School of Dance, and Sophie Gallie School of Dance found us similarly engaged, this helping us also to share and celebrate the joy of dance with aspiring dancers. We are looking forward to our forthcoming trip to Chester in April to continue workshops there and a guest performance at the Hammond School theatre. Now there’s a point! Why shouldn’t men wear Pointe shoes?! What do you think Fran? We are also very much looking forward to our Easter Young Dancers Intensive. Alice Oakley-Jones (Miss Alice), is very busy finalising all the arrangements necessary to make this a successful, productive and enjoyable course, particularly for those who wish to hone their technique in readiness for exams or audition opportunities. The course runs from the 29th March until the 1st April so please feel free to check if there are any last minute places available! Perhaps some might like a one-off, full day taster session, and then utilise our summer course instead. 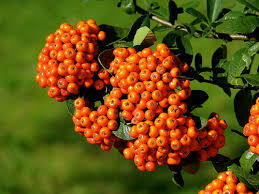 We will do our utmost to cater for individual requirements! At the studio we are working hard to finalise one of our new productions, which is a performance loosely based on the Hans Christian Anderson story, Snow Queen. This work is the brainchild of our Creative Coordinator, Francesco Mangiacasale, who is also renowned for his wonderful selection of some beautiful music which often accompanies our performances. Fran revisited the story and with his own personal twist to the tale, has adapted and choreographed a version which might particularly appeal to young audiences. We are very much looking forward to the production – dates to be announced…. We had a very interesting and constructive meeting attended by our patrons, mentors and several other interested parties in January where we discussed the many and exciting ways towards which The London Ballet Company could progress and develop. We are so very grateful to all for their continued interest and support, and truly welcome the input from those with a very diverse understanding of the world of ballet and entertainment. This convergence of ideas gives us confidence and provides a melting pot of creativity on which to build and grow. I would like to take this opportunity to make particular mention and a big thank you to Mr. Peter Defty, Ms. Sarah Durrant, Felix Buxton, Tasha Bertram, Mr. Harold King and Susan Dalgetty Ezra. TLBC hosted an open day at our Canada Waters Studio towards the end of February where we were joined by our “Friends” and also members of The London Ballet Circle. We visited extracts from our performance portfolio, followed by wine and chat with the company dancers. This opportunity offers all of us involved in TLBC the chance to listen to some feedback and suggestions; sheds light upon the audience perspective and allows us to make friends with our “Friends”. Our participation in event and bespoke engagements continues. One in particular proved to be very impressive with 4 of our dancers, spending two consecutive days at a particularly memorable occasion at Kent House, Knightsbridge. We are all looking forward to the revival of our “Olympic Dream” production as we build towards the start of the 2016 Olympics in Brazil. Canary Wharf being one of the highlights as we take to the stage at the outdoor event for their summer festival. I was very privileged to be invited to Elmhurst School once more for Directors Day assessments. It is very inspiring to watch the growth and development of the next generation of ballet dancers and I fondly remember my own time at the school. I can’t believe that it is now 10 years since I started there. 10 years since this beautiful purpose built school first opened! I remember the intense excitement as we explored all the brand new studios. It is still just as I remembered. To be part of the assessment panel was an honour and to rub shoulders with Chantry Dance Company’s Paul Chantry and Rae Piper, David Bintley of Birmingham Royal Ballet, and one of my own heroes – Matthew Bourne, was also a wonderful experience. Thank you so much to the wonderful Artistic Director Mr. Robert Parker for his kind consideration. We are all looking forward to our new season, dates and times to be confirmed on our website, and do hope that you will join us in the dance! Autumn is in the air and it is time to reflect upon The London Ballet Company’s very successful summer ventures! The last week of June and early July saw our Director, Sophie Wright, join our Patrons, Felix Buxton and Simon Ratcliffe, with the Basement Jaxx “family”, on their American Tour. First stop, Los Angeles to perform at the Hollywood Bowl, followed by a trip to Washington DC and then it was New York, with an appearance on stage in Central Park. Back at home, company dancers, Fran Mangiacasale, Jo Elisabeth and Rosy Nevard, performed at The Royal Chelsea Hospital, in aid of the N.S.P.C.C., a fund-raising event supported by a host of celebrities. To name-drop just a few, they included Princess Beatrice, Claudia Winkleman, Mariella Frostrup, Emeli Sande and Elizabeth Hurley! We were so impressed!! The London Ballet Company was proud to be amongst those who donated to this worthy cause. We also found time in our busy summer schedule, and with much organisation by our core dancers, to have a photo-shoot with Samantha Williams and Alexander Yip. The results of this will shortly be online with the launch of our brand new website, constructed and designed by our Director Sophie, and with the kind assistance of Mr. Howard Weller. Fran Mangiacasale, our Creative Coordinator, along with Alice Oakley-Jones (Education Management), and Jo Elisabeth (Costumes) found time to preen, primp, concoct and sew some wonderfully flamboyant costumes for our forthcoming shows and bespoke events. A hint of what they have managed to achieve will also be seen on our website shortly. All of this was going on between rehearsals for our James Bond show, which was performed on the Orbit Stage at Canary Wharf. Although the ground was a little soggy, plastic sheets were handed out to the audience for this annual outdoor event (our 3rd year running), and sunshine prevailed during an entertaining performance in readiness for the build up for the release of the new Bond film “SPECTRE”! Some of us at TLBC were lucky enough to go as audience members to see our talented Patron, Thomas Sangster, perform in the St.James Theatre in the show “Summer of Love”. It was particularly exciting to watch and support him in return, as he has so often done this for us! We look forward to seeing more of the wonderful variety of stage and film roles in which he is continually involved. We are also very excited to announce that we have been asked to take part in a film documentary, which showcases our very talented Creative Coordinator, Francesco Mangiacasale. It will present extracts from Fran’s varied and very hectic schedule of performance, teaching, choreographing, music selecting, costume designing….And the list goes on! We look forward to the results of this collaboration with the film production company, Gorilla Face. The release of this documentary will be announced shortly. In August we held our annual Summer Young Dancers Intensive. It has proved to be a most successful occasion. The feedback received from the group of young ballet dancers who showed promise and great enthusiasm, was extremely rewarding. The teachers, Miss Alice, Miss Rosy Nevard, Miss Emily Hughes-Lewis and Mr. Fran Mangiacasale, were impressed by the high standards shown, and encouraged by the dedication of the students, some of whom received a little extra recognition for particular achievement. The final day, with all the students taking part in the end of week performance, was very special and much enjoyed by all. Well done to all who took part, and a big thank you to all the teachers whose work made the week a very special one. I was particularly distressed to have missed it all, but an unexpected engagement in hospital, undergoing an emergency operation for appendicitis, was one performance I could not avoid!! (I do hope that this is not contagious, as Miss Alice had the same operation some weeks earlier – oh dear!) Fortunately, we are both now well recovered and back to dance fitness! TLBC continued the season with a further Basement Jaxx tour to Liverpool, Portsmouth and finally London with dancers Bethany Wright, Rosy Nevard and Emily Hughes-Lewis. This was followed by another performance with Basement Jaxx, at a fund-raising event for World Peace Day. The Company performed with a host of stars, each donating their time for this worthy cause, creating a most spectacular event at Koko’s in Camden, which was completely sold out. The London Ballet Company would like to take this opportunity to thank Basement Jaxx for their continued support and patronage. We were quite overwhelmed by the audience enthusiasm. Although TLBC has been with Basement Jaxx for a relatively short time in their sustained and successful career, we were welcomed and embraced as part of the Basement Jaxx family. We have all found it inspirational to have gained insight into other facets of the entertainment industry, and we aspire to gain audiences such as these! The autumn leaves (pardon the pun) us in the midst of delivering workshops to vocational students at Rambert School of Ballet and Contemporary Dance, which has been a most invigorating and stimulating opportunity. It is a privilege to be part of the education of aspiring dancers and to share and inspire with our company vision. We are also once again, busy with rehearsals for our much loved “Poppy” production (Thank you to Jenny Morrison who is updating our flyers). Back by popular demand - the tickets are now on sale. The popular lunchtime performance (please feel free to bring your lunch should you wish) starts at 1pm – 1.45pm at our home theatre, The Bridewell Theatre, Bride Lane, Fleet St. EC4Y 8EQ from the 3rd-13th November, Tuesday-Friday. Poppy will also be performed on Saturday 21st November, 7.30pm at Theatro Technis(26, Crowndale Rd., London NW1 1TT ) for an evening double bill with our new production “Ghost” – tickets are already on sale for this performance. We would like to give a very warm welcome to three new apprentice dancers with The London Ballet Company. Abigail Bulfin who trained at Central School of Ballet, Hanah Fjelddahl from Hong Kong, and Tamra Burke from Melbourne, Australia. We wish them the very best in their journey with us and they are already an important part of the team. We would also like to extend a very big thank you to Ms. Tasha Bertram. 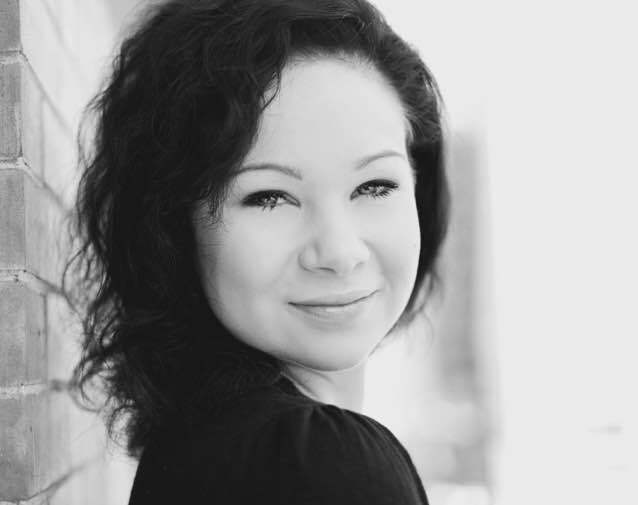 Tasha, who was formerly a dancer with London City Ballet, teaches class for us upon occasion and you might recognise her as she appears as guest artist in our production Poppy! We very much look forward to seeing you at one (or two) of our upcoming performances, and to sharing further exciting developments in the pipeline, in our Winter newsletter.